If you are a student who is heading back to school this fall, you have probably already spent a small fortune on the essentials for life in the dorms. These items might include a small refrigerator, a reading lamp, a corkboard, not to mention all of the books, notebooks, software and study guides you have to buy for your classes. You order the pizza, I will setup the projector - Instead of binge watching Game of Thrones on your little laptop screen, buy a projector, hang up a sheet, and make a mini movie theater in your dorm room. MHL works with Netflix, Roku, Google Play, Amazon Prime, and most other online video streaming services. One of the biggest bonuses of MHL is that your phone continues to charge while you are using it for any of the above scenarios. Gaming, movies, Microsoft Office, all of these can wear down your phone battery. But with MHL, your phone is charged. What comes to mind when you hear the phrase “mobile gaming”? Angry Birds? Game of War? Well for many of us at MHL, it’s Sonic The Hedgehog. What you may not realize is that you can play Sonic and other classic gaming titles on your Android phone using a Bluetooth gaming controller that is laid out a lot like the classic gaming console controllers. If your phone supports MHL you can also use your TV as the display. We recently tested out two such controllers the MOGA PRO and MOGA PRO 2. When you get home, you can switch to the big screen using a MHL cable or adapter, which streams the Android Smartphone video in full 1080p resolution (4K for some phones) and keeps charging your phone while you play. The MHL connection also supports multi-channel audio (up to 7.1 surround sound.) Not sure if your phone supports MHL, you can check here http://www.mhltech.org/devices.aspx. 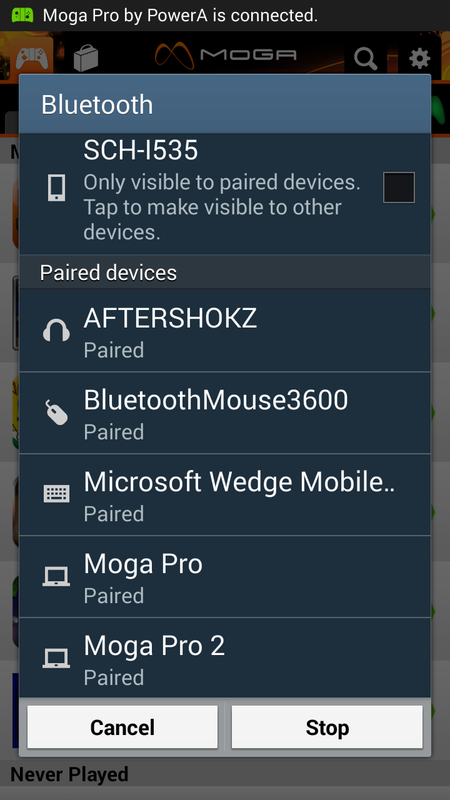 When your Android phone or tablet has been properly paired with the controller via Bluetooth, you next need to run the corresponding app. For The MOGA devices, it’s called the MOGA Pivot. The app will make sure that your controller is properly synced up with your phone, and also serves as a “mini-marketplace” for downloading compatible games. One game we tested was Sega’s Virtua Tennis Challenge, which like many Android games, allows you to test drive the game for free, by completing the half dozen tennis lessons (which teach you how to play) and then playing in one real tennis match. The Virtua Tennis Challenge really takes advantage of the various buttons on the blue-tooth controller, allowing you to smash, lob, or send a powerful serve to different areas of your opponents court. Combine this advanced gaming interface with an MHL connection, some good speakers, and a comfy couch or recliner, and you will quickly forget you are playing a video game on your phone. In addition to various Sonic games, Zen Pinball, and Virtua Tennis Challenge, we tested out the controllers on some other titles like Stupid Zombies 2, Tiny Little Racing 1 and 2, and Jet Set Radio, Soulcraft, and retro “Tony Crack” type skateboarding game. The controllers worked well although for best results we recommend pairing a single controller at a time. Pro Tip -- If you get a Bluetooth gaming controller like the MOGA Pro or PRO2, the first thing you should do is download the corresponding app AND update the firmware. The bottom line is playing mobile games using a Bluetooth controller and MHL connection is a blast and certainly beats blowing the dust out of a Sega Genesis cartridge. Number 10. No more surprise visits from your mother-in-law. Simply connect your MHL®-enabled device to a TV and she can see her darling grandchildren annnnny time she wants using Skype™ or a similar video chat service. Number 9. You always beat your friends’ scores when gaming on your mobile device; now show them how it’s done on the big screen. Connect your MHL-enabled Android phone or tablet to your TV and wirelessly pair a controller for the ultimate gaming experience. There’s no lag and the TV charges back your mobile device while you play. Number 8. Give your kids their own personal tutor. More and more education classes can be found online covering topics such as science, math and English. Instead of driving your kids to a tutoring center access these online programs on your MHL device and view it on a big screen to learn from the comforts of home. Number 7. The next time your know-it-all friend thinks he/she knows it all, prove them wrong. Let’s say you are listening to the radio and they insist it’s one artist and you know it’s another just plug your Android device with MHL into the nearest TV, launch an app like Shazam® or SoundHound that will instantly identify the song, artist, along with any other metadata available for the track. Show them just how “wrong” they are when the “right” artist pops up on the TV screen. You’ve just earned yourself bragging rights for the rest of the day. Number 6. Travel on the road –without the extra baggage! It’s hard enough that you’re away from your family when you’re on the road, but when you have to carry a bulky laptop and power cord life is even tougher. Why not just bring your smartphone or tablet, an MHL adapter, a roll-up keyboard and portable mouse, and connect it to a TV screen in your hotel room. 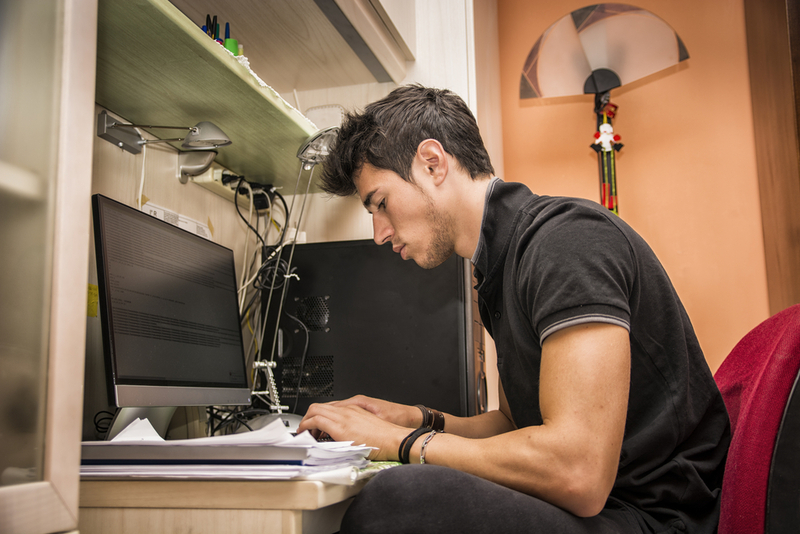 Instantly transform any screen into a monitor to work your way! Number 5. Work on your golf swing. With MHL and a good MacGyvered tripod, you can record your long ball swing while your golf pro explains how to make it better. Watch your progress on each swing in full HD on the nearest TV. FOUR!!! Number 4. Get a new first base coach. If you happen to coach a little league, or act as assistant coach with all the rest of the parents, you can be the hero and show the umpire it was a BALL AND NOT A STRIKE. If he still doesn’t agree, it’s a good thing you captured the entire play on your MHL phone! After the game, invite all of the parents over for a BBQ to replay that bad call and vent. Number 3. Show them you can rough it, without really roughing it. Planning a camping trip with your family and not in the mood to repeatedly hear, “I’m bored, when are we going home?” Get a 3M projector, connect it to your MHL device and use your RV’s side wall to project the image. Get some camp chairs and snacks and have movie night in the great outdoors. Number 2. Capture your kid’s first bike ride, marching band competition, beauty pageant, or soap box derby on your MHL phone. Instead of passing the phone around, share these moments with all of your loved ones on the big screen at the same time. They can enjoy seeing your boy scout win his pinewood derby, or your little star twirling in her ballerina skirt all in glorious HD, courtesy of your magical MHL device. And the Number 1 reason why a smartphone is better than a tie is that many devices have MHL technology – in fact, there is an installed base of over 260 million products that enable all of these fun activities! Nowadays, getting a ticket to one of these big games is nearly impossible, but that doesn’t mean that avid cricket watchers have to miss any of the action. With today’s mobile phone technology, sports fans can easily watch their favorite teams on their smartphones while riding in a taxi, bus, or even an auto rickshaw. Once cricket fans get to their final destination, they can continue watching the game on a bigger screen with MHL technology – and in high-definition! MHL technology takes content and makes it accessible anytime, anywhere. It also makes watching cricket games a more social and fun experience. Open your favorite mobile app and check your fantasy scores, view the latest results and standings, and look at the photo streams from past games and highlights from matches from your mobile phone to the big screen – all while rousing your family and friends. What’s really great about MHL is there is a good chance your current smartphone or tablet already has the technology built in. There is an installed base of over 220 million MHL-enabled products, but many people don’t know they have MHL devices that can easily connect to their HDTVs. With the right data plan and/or Wi-Fi access, the sports viewing possibilities are endless. The MHL team is traveling around the globe to spread the word about the technology’s benefits – and the next stop is India where they will be heading to Bangalore to host a press event on April 23, 2013. Silicon Image is one of the Founders of the MHL Consortium and we’re looking forward to the MHL team speaking with local press about the technology, its future, and demonstrate all of the exciting use cases. So what do you think about MHL technology and how would you use it? Let us know by leaving us a comment below. If you're reading this, we assume you already know about the magic that is MHL technology, and how it allows you to display high-def audio and video to your TV while also charging your phone! So, let's chat about taking your mobile gaming experience to the next level. Because - let's face it, we are all on the go these days. This means accessing more info and entertainment from our mobile devices. 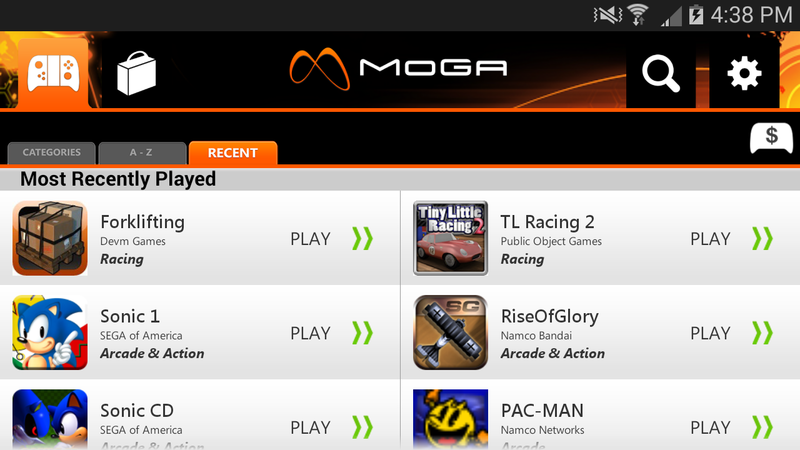 If you're going to be gaming on the go, the MOGA Mobile Gaming System is a must-have. What's MOGA? Let's get you in the know. Simply put, MOGA is the best game experience anywhere. Anywhere. Not only is there the state-of-the-art, portable controller (for Bluetooth enabled Android devices running 2.3 or higher), there is the MOGA Pivot App to easily help you find the latest MOGA Enhanced games on your phone or tablet. Now, add in an ever-growing library of amazing titles where each game is enhanced by its developer to take full advantage of the MOGA control schematics. All of this boils down to you, the gamer, finally being able to fully immerse yourself in the mobile gaming experience. Now, in walks MOGA. Flip open the MOGA Arm, slide your phone into the grip (holds phones up to 3.2" wide), and launch the game. Suddenly Vendetta Online is transformed into a more traditional console-style gaming experience, only you can take it wherever you go. Dual analog sticks, shoulder triggers and four action buttons make all the difference as you engage in the twitch style PvP. And, thanks to MHL, the gaming excitement doesn't need to end when you get home. You've been playing on your phone or tablet on your daily commute, walk through your front door and - bam! - connect to your TV via MHL, and you are ready to pick back up where you left off, still playing with MOGA. Plus with up to 18 hours of battery life, you'll have plenty of time to build your space empire. The Moga controller, with MHL, delivers a quality, untethered gaming experience.